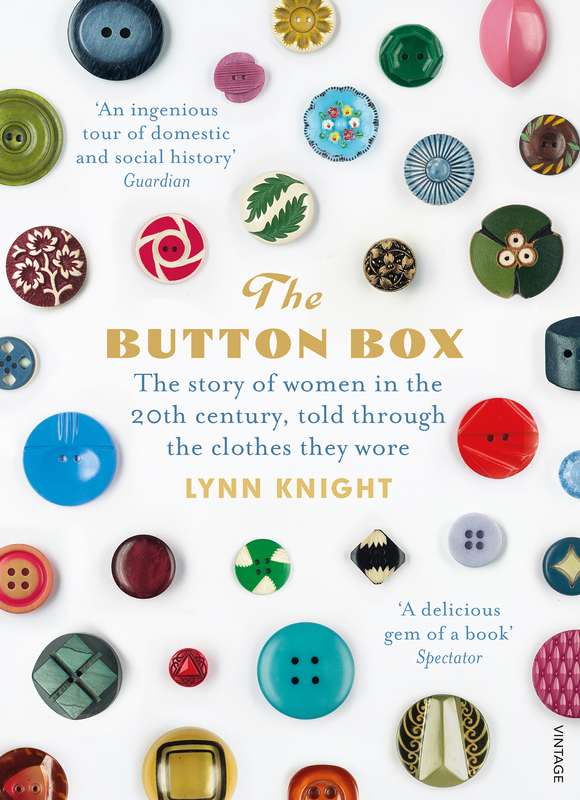 An inlaid wooden box holds the buttons of three generations of Lynn Knight’s family: a scarlet ladybird from her own childhood, chunky turquoise buttons that fastened her mother’s 60s-era suit, a sky-blue buckle from a dress her grandmother wore. 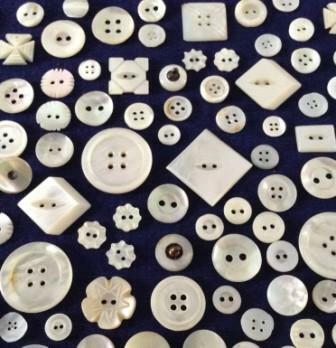 Every button tells a story. ‘They change our view of the world and the world’s view of us’, said Virginia Woolf of clothes. The Button Box explores their role as emblems of security, identity and independence. From the jet button of Victorian mourning, to the short skirts of the 1960s, taking in suffragettes, bachelor girls, little dressmakers and Madam shops, Biba and the hankering for vintage, The Button Box explores women’s lives with elegance and wit. 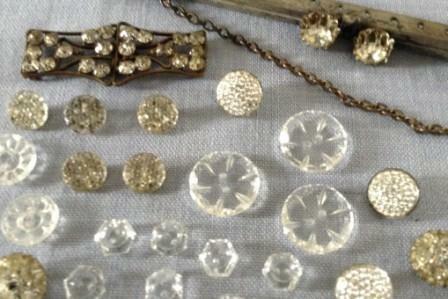 Some of the diamante, glass and lucite buttons from my grandmother's button box, together with a crystal-clasp frame for an evening bag she intended to make. 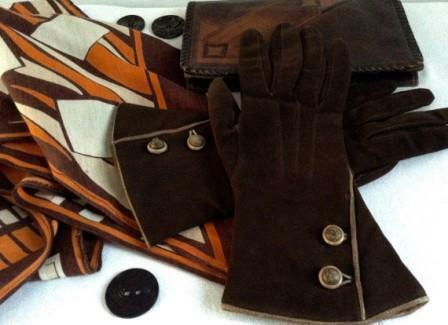 My great-aunt's buttoned gauntlets and her leather clutch purse from the mid-1930s. I found the art deco scarf in a vintage shop.